database driven localization resource file? I'm going to be honest I'm not even sure if I am formulating my title right at this point and what the searches I've been doing for the past hour point to ASP specific work so here goes. I'm in the process of rebuilding some of our in house software because it's all in VB6 with an MS Access database as its back end. It's going to be rebuilt from the ground up in VB.Net with MS SQL Server as a back end and if I have my way an entirely rebuilt table structure with at least a little bit of data normalization as right now it's, well... not. One of the requirements that I have to take into consideration is Localization as we're expending into territories that would prefer if they could use their own language as well as have their own cultural settings when it comes to currency and such. I've been looking up the Localization feature of VB.NET as well as CultureInfo and I get the gist of it but what I can't seem to put my finger on is whether or not this can be database driven and copied/added on the fly as I'm really not keen on creating new resource files, adding code and recompiling every time a new language is introduced to the company. An that says what and where the thing is. This is from the product lexicon as I'm not really done building the interface lexicon table yet. Anyway, what I'm trying to get a handle on is whether or not it's possible on program load to go. Read the DB, and see what cultures are configured for this "Company", Add those Cultures on top of the "Default" and then duplicate the default language resource files into memory(as from what I've found so far it doesn't seem like the embedded resource language file is actually editable), do the same with the whole interface lexicon and just swap strings around based on selected language. Any input on how to proceed or if there's another way I need to approach database driven translation and culture modification/addition at run time would be greatly appreciated as I'd really like to set this project up properly from the beginning. For example, when I copy three lines of code (from VS) and paste it directly into my richtextbox, the font/size/color will be deformed (for example "End sub" color will be turned into blue). Is there any way to disable this property? i have changed some code of a multi client chat program.in this change two message from server sends to a client , but On the client side only the first message is received. I am adding a new row data in an unbound DataGridView in a different form (using a ToolStripButton), and I want to also change the background color of the row while doing so. What additional code is required to change the row color before the ToolStripButton1_click() is executed? I'm trying to account for both English and Georgian and an app I'm developing. I had added the localization language to the project, have all the storyboard languages setup and the strings files. I now want to test to see if the text translates correctly. 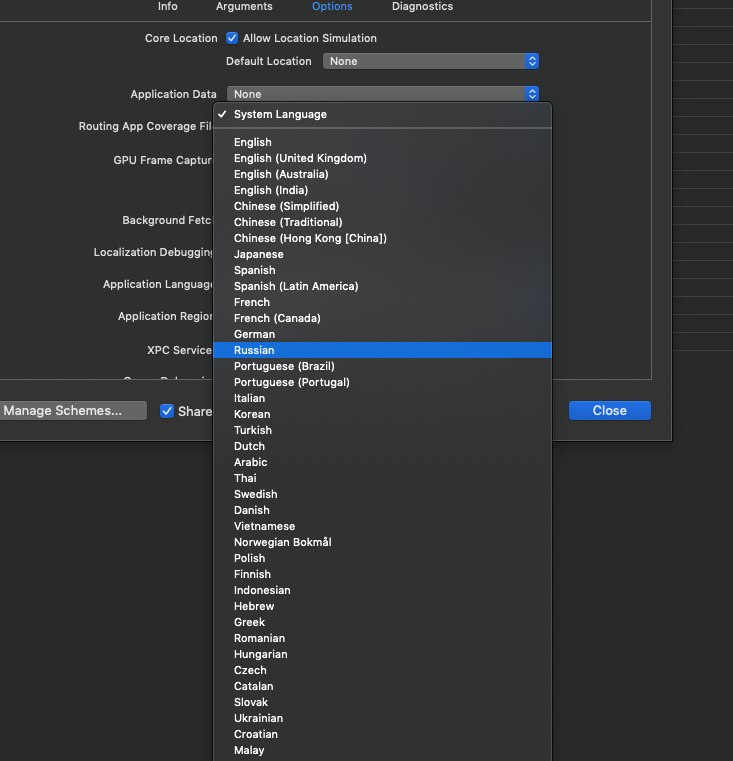 However, when I go to Edit Scheme and find the application language drop down it doesn't have Georgian. When I added the localization in the project settings I could go to a More menu that had LOADS of languages. Why does this not exist in the Application Language drop down in the scheme settings? Does anyone have an idea why my code is not working? I get English strings everywhere. Note that is not an ASP.NET project but an actual WinForms project. I have set up a windows forms project to use localization so that it will support Arabic and English languages. It works when I test it by starting to debug but when I set up the application it stops working. In google spreadsheet, I wish to use script to draw a line chart with column A as X and column B as Y. But below code will draw 2 line. how can I modify it to draw one line just like B = f(A). 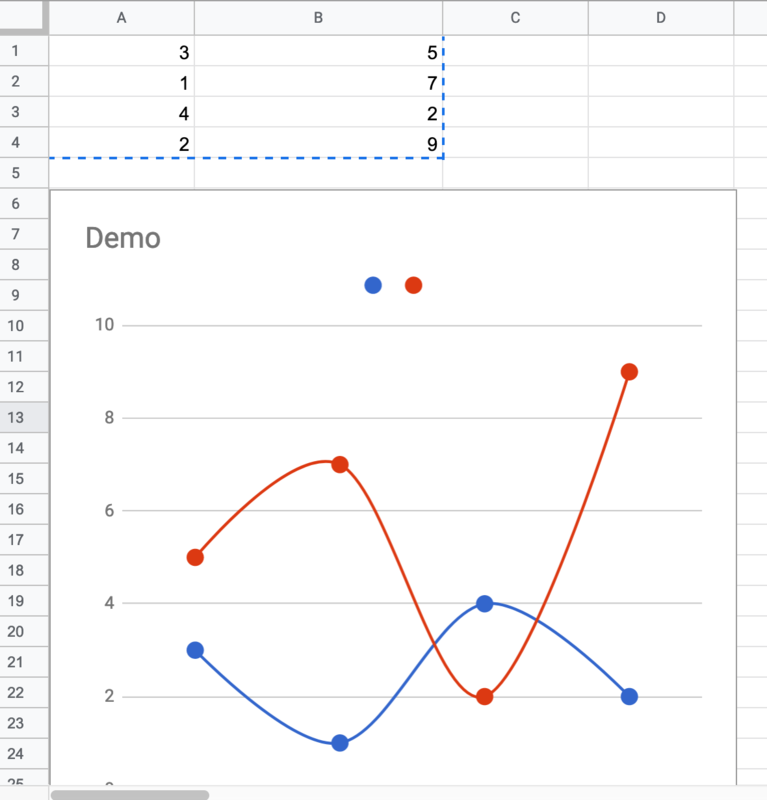 I have an embedded line chart on Google Sheets. I take data for the chart from the other tab of the same sheet. I create notes in cells which I take data from. It would be great to have notes be shown as popup tooltips when hovering over each data point. The mechanism already has tooltips for each data point. It shows names of my horizontal axes now: "January", "February" etc. Is there a way to show notes as tooltips and push my data to tooltips? //styling, but possibly can add some important data here? I'm working on a frameless electron app, and trying to make the window control icons match stock windows 10. However, as far as I can tell, they are available absolutely nowhere. Does anyone know where they are available?